Don’t have your own gear? Rent ours! 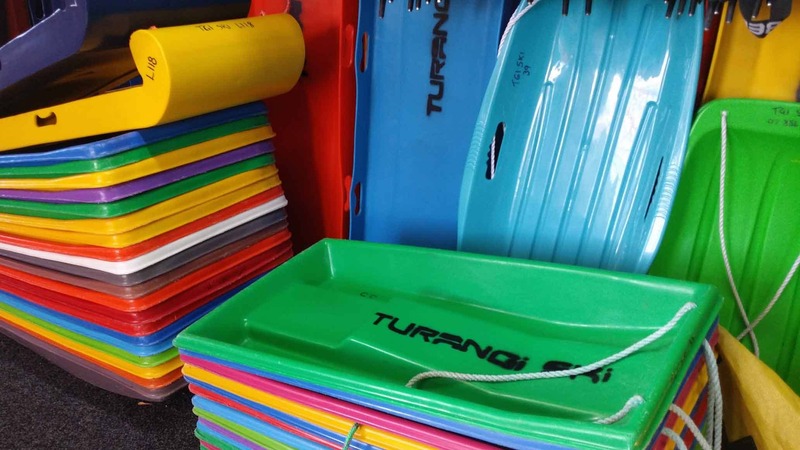 Wendy, Sue and the Team welcome you to Turangi’s very own Ski and Snowboard hire. We’re located beside State Highway 41 making it easy to stop by and rent a variety of equipment suited for all ages. From beginner to performance packages, we have great rental equipment to suit your needs. If you are not sure about your skis, bring them in or give us a call. We will be happy to advise you. Snow chains are not available at any ski hire. Use shuttle buses from National Park. See www.mtruapehu.com for more information. Tramping gear … we don’t carry any gear for the Tongariro Alpine Crossing. Our clothing is too bulky and walk boots are not suitable for this type of activity. Climbing gear … We don’t carry climbing boots, ice axes, crampons or ropes for mountain climbing. NEED MORE THAN ONE DAY? NO PROBLEM!